From time to time, if you’re lucky, you run across an artist whose collective musical sensibility adds up to so much more than the sum of his or her parts. 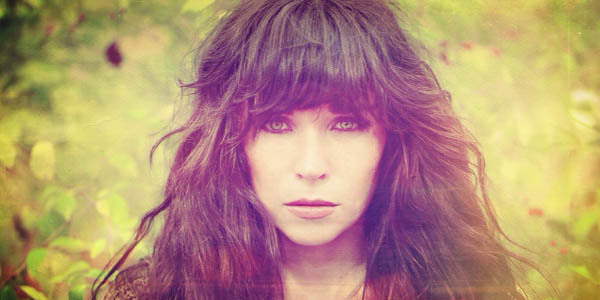 Mary Jennings delivers her brand of piano pop on a grand scale, an enveloping and sensory experience that’s exhilarating. 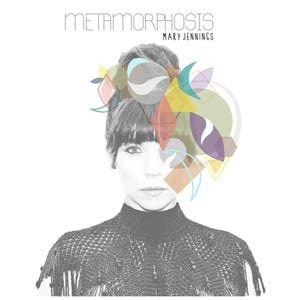 Metamorphosis, in perfect illustration of its album title, feels like something of a coming-out party. Jennings sounds like she’s blooming and changing into some other-worldly pop star across the expanse of this record. “One Brick” gets this transformation underway, a big-sounding piano-driven undercurrent propelling the vocals and melody forward. It would have been easy to let the harmony chorus take over, to let the ambitious structure of the song overwhelm the lyricism and lead vocal. But it’s here that Jennings shows her fortitude for digging in and laying down a solid, unadorned vocal that is a refreshing change from overindulgent pop contemporaries. The title track, again, exhibits a restraint that serves the greater good of this record; Jennings clearly has a stellar voice, and has trained to develop a clear, unwavering tone that matches up well with the range and dynamics of her piano playing. “Home” is another track that shows off the diversity and advanced songwriting skills that play with arrangement and rhythm in her songs. “This Means War” is another big track, one that could easily find its way onto the airwaves. It’s a dominant performance from Jennings, and features more of her compelling and fluctuating vocal style. It’s a compelling and potent mix of beats, melody and wonderfully punctuated lyrics. The pairing of Jennings and Jeremy Nash on “Tectonic Plates” is another highlight that shows off even more versatility and layers in the songwriting on this record. “Love You Best” is another gem, full of light and lovely harmonies and warm instrumentation. Mary Jennings has perfected the art of transformation on Metamorphosis. The subtleties in the songs that reveal themselves through repeated listens are the most pleasant surprises of all. Jennings shows a great deal of progression in her songwriting and performance style with a thread that carries through in such a satisfying way from the beginning to the end. It’s a wonderful balancing act between nuance and brightness that shines from every angle. Metamorphosis is a magical musical experience.